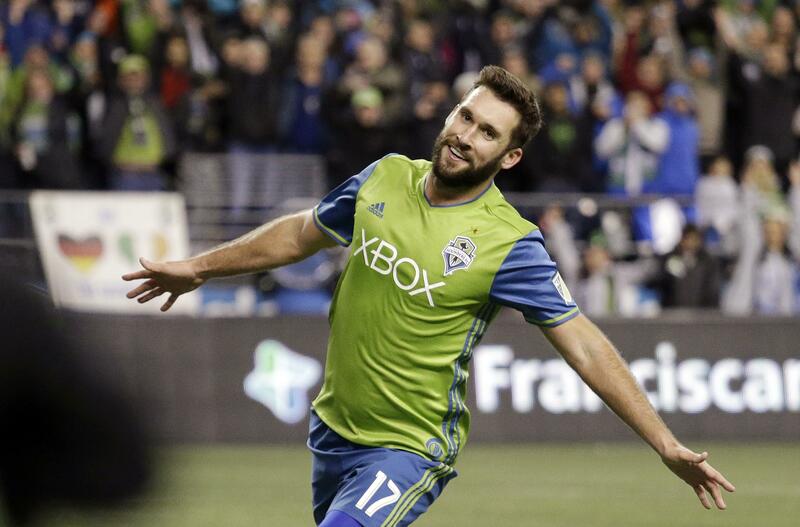 Wed., July 4, 2018, 8:41 p.m.
COMMERCE CITY, Colo. – Will Bruin scored twice and Stefan Frei made a spectacular save to help the Seattle Sounders to their second win in their last eight games, 2-1 over the Colorado Rapids on Wednesday night. It was Seattle’s second straight win over Colorado on the Fourth of July. The Sounders are 7-3-1 all-time at Colorado (4-10-3). Bruin put Seattle (4-9-3) in front in the 19th minute, finding the ball in open space in front of the goal box and beating goalkeeper Tim Howard with a shot into the lower left corner. Colorado’s Sam Nicholson headed home a long entry pass from Edgar Castillo in the 40th minute, but Bruin scored the game-winner off an ill-advised clearing pass by Howard in the 59th minute. Frei dove to his left to deflect a Colorado shot on a breakaway in the 82nd minute. Five Colorado players were shown yellow cards, three for unsporting behavior, one for time wasting and one for persistent infringement. Published: July 4, 2018, 8:41 p.m.